At Concept Virtual Design we use only top quality products for our bathroom designs – the latest in contemporary, classic and traditional styles, along with cutting edge technology and unique pieces that make your bathroom yours. The My Nature bathroom collection by Villeroy and Boch offers sensuous lightness and natural vitality; the exciting combination of flowing lines of high quality ceramic and european chestnut creates a harmonious contrast . You can also combine My Nature with Loop and Friends surface mounted wash basins. Surrounded by gentle curved forms, float on a sea of relaxation in the My Nature Bath; a wooden pedestal adds depth to the delicate bath and effortlessly support it. The harmony of the two elements creates an exquisite minimalism that promises well-being at first glance. My Nature offers the first patented comfort toilet seat; the Nature Seat is made of real wood and synthetic material and in addition to the beautiful design it offers a soft-closing feature. The smooth and tough synthetic inside surfaces are particularly hygienic and, thanks to the quick release system, extremely easy to clean. 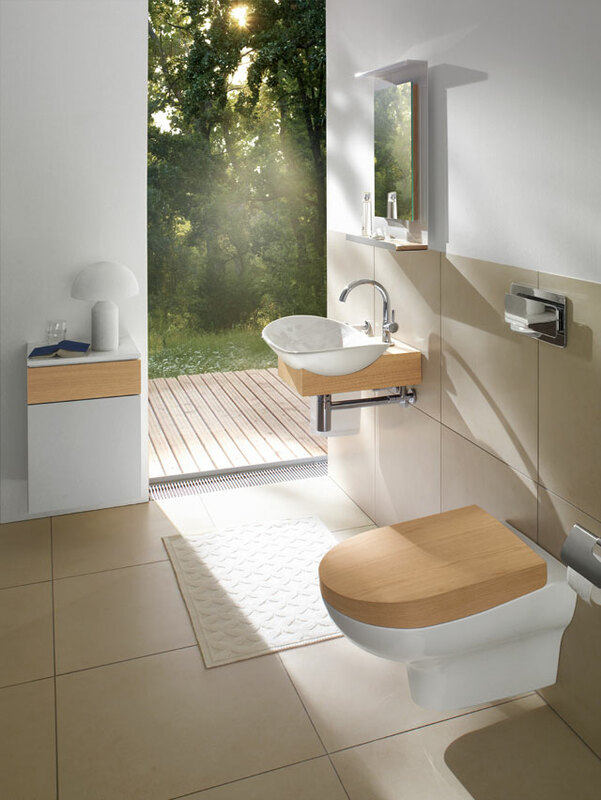 Villeroy and Boch’s My Nature range provides you with a complete, beautifully contoured collection, bringing the lines and texture of nature to your bathroom. We can help you to design and lay out your perfect luxury bathroom using high quality products and materials, to create a space that is truly relaxing. This entry was posted in Luxury Bathrooms, Villeroy & Boch. Bookmark the permalink.